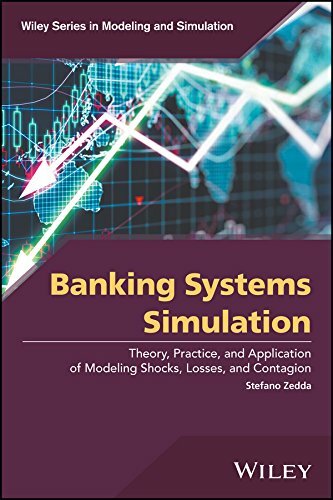 [PDF] Banking Systems Simulation: Theory, Practice, and Application of Modeling Shocks, Losses, and Contagion (Wiley Series in Modeling and Simulation) | Free eBooks Download - EBOOKEE! Description: Presents information sources and methodologies for modeling and simulating banking system stability Combining both academic and institutional knowledge and experience, Banking Systems Simulation: Theory, Practice, and Application of Modeling Shocks, Losses, and Contagion presents banking system risk modeling clearly within a theoretical framework. Written from the global financial perspective, the book explores single bank risk, common bank exposures, and contagion, and how these apply on a systemic level. Zedda approaches these simulation methods logically by providing the basic building blocks of modeling and simulation, and then delving further into the individual techniques that make up a systems model. In addition, the author provides clear and detailed explanations of the foundational research into the mathematical and legal concepts used to analyze banking risk problems, measures and data for representing the main banking risk sources, and the major problems researchers are likely to encounter. There are numerous software descriptions throughout, with references and tools to help readers gain a proper understanding of the presented techniques and possibly develop new applications and research. The book concludes with an appendix that features realworld datasets and models. In addition, this book: Provides a comprehensive overview of methods for analyzing models and simulating risk for banking and financial systems Provides a clear presentation of the technical and legal concepts used in banking regulation Presents unique insights from an expert s perspective, with specific coverage of assessing risks and developing whatif analyses at the systems level Concludes with a discussion of applications, including banking systems regulation whatif tests, costbenefit analysis, evaluations of banking systems stability effects on public finances, dimensioning, and riskbased contributions for Deposit Guarantee Schemes (DGS) and Resolution Funds Banking Systems Simulation: Theory, Practice, and Application of Modeling Shocks, Losses, and Contagion is ideal for banking researchers focusing on computational methods of analysis as well as an appropriate reference for graduatelevel students in banking, finance, and computational methods. No comments for "[PDF] Banking Systems Simulation: Theory, Practice, and Application of Modeling Shocks, Losses, and Contagion (Wiley Series in Modeling and Simulation)".